Denver Bankruptcy Attorney Arthur Lindquist-Kleissler is skilled at developing effective Chapter 11 reorganization plans for distressed businesses. Have to submit the reorganization plans to the court for approval by both the court and the business’ creditors. Restructuring a business to streamline its operations – This can involve the liquidation of some of a business’ assets; it may also include closing some of a corporation’s stores/offices, laying off a portion of the employees and possibly focusing the business’ operations on one or two areas (while ceasing to conduct others). Setting up a formal plan that details how and when creditors will be repaid – These plans typically specify how much each creditor will be paid monthly (or quarterly) and, consequently, how long it will take to pay off the outstanding debt. This aspect of reorganization plans may also outline the business’ future sources of income in order to validate that a business will be able to make the payments according to the proposed plan. There may be other factors or elements of reorganization plans, depending on the nature and goals of the business, as well as the types and amounts of outstanding debt. The reorganization plan is possible – First and foremost, the court has to ensure that the proposed reorganization plan can actually be executed by a business and that the plan does not violate any bankruptcy laws (or propose illegal remedies).If the court determines that it is not feasible, it can reject the plan, and creditors may try to force the bankruptcy case to be converted into a Chapter 7 case (which would generally result in dissolution of the business and the liquidation of all corporate assets). The reorganization plan is “in the best interest of creditors” – Under this consideration, courts have to ensure that creditors will (at least) be repaid as much under the proposed reorganization plan as they would if the case were a Chapter 7 bankruptcy. The reorganization plan is “fair and equitable” – When this evaluation standard comes into play (which may only occur if creditors do not approve reorganization plans), the court will take a closer look at whether creditors are being repaid at least the amount that is equivalent to the collateral given for a loan. Additionally, this standard requires that business owners do not try to keep any assets until the creditors have been paid in full. Help them develop effective Chapter 11 reorganization plans that can help resolve their financial issues (when appropriate). Since 1979, Mr. Lindquist-Kleissler and the other legal professionals at Lindquist-Kleissler & Company, LLC have been providing small businesses and large corporations alike with the highest quality of legal services when it comes to debt relief and bankruptcy (including civil litigation matters associated with bankruptcy). 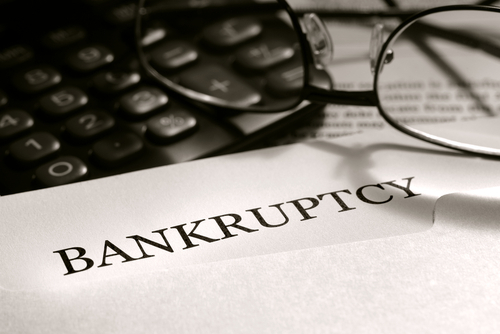 Regardless of the complexity of a corporate bankruptcy case, Mr. Lindquist-Kleissler can always be trusted to guide his clients through bankruptcy and help them achieve the best possible outcomes to their cases.